I found this on my family block in Queensland a few years back and have been meaning to get it officially indentified. Before doing so I was wondering if you all could tell me what you think? It passes the magnet and rub test. It is also completely different to the rocks native to the area. I haven’t seen anything like it since. It also seems heavy for it’s size at 392grams. No Ring Pull Left Behind!!! Looks more like a "Joe Dirt "
I'm no expert, but with what I've read about them, this seems like it could be one to me. I'd be getting it tested. Yes, fingers crossed for a good result. I wouldn't sell it though. It would be such a blast to own something that came from outer space! Very cool! Don't like to be a wet blanket but it does not look like one to me. 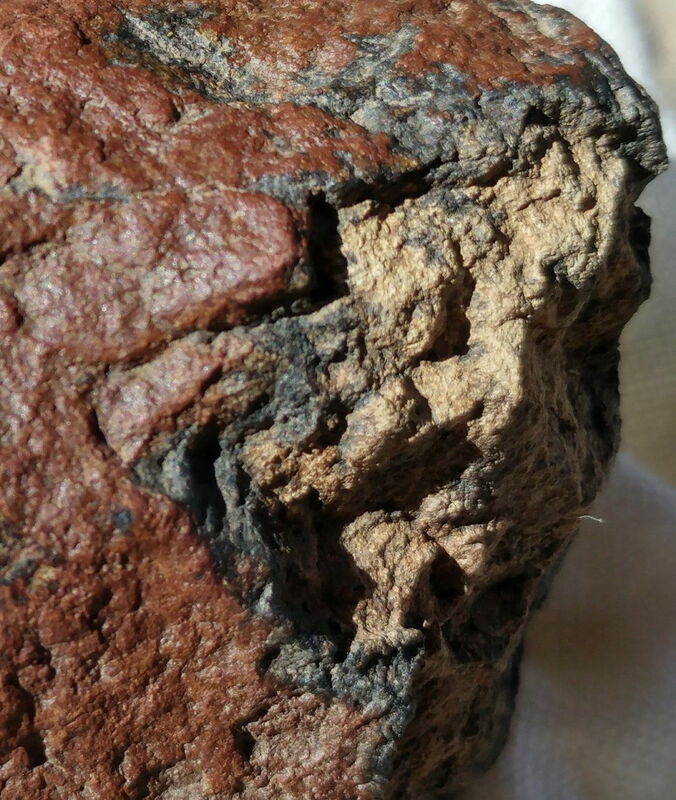 Seems to have a weak fabric in it and to be intensely weathered. What is the SG? Interesting reading there Ded Driver. But I'm still not writing off that rock on this thread. It looks similar to one on that information - just very weathered. You have to put it back where you found it. yep Megsy, its still possible! The thing that got me is the apparent fusion crust. 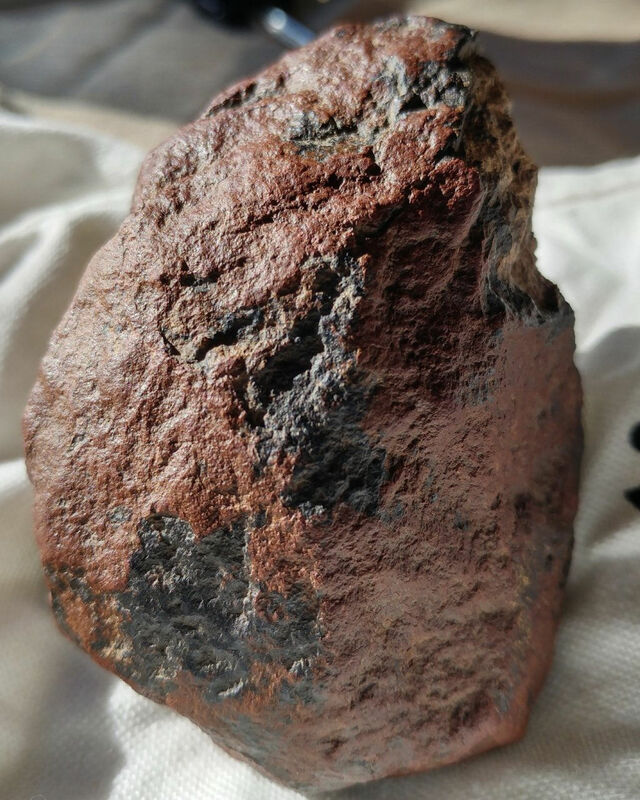 You can see it has a burnt black layer on the outside that I suspect has changed to a red/brown colour due to being exposed to the environment for a long period of time. 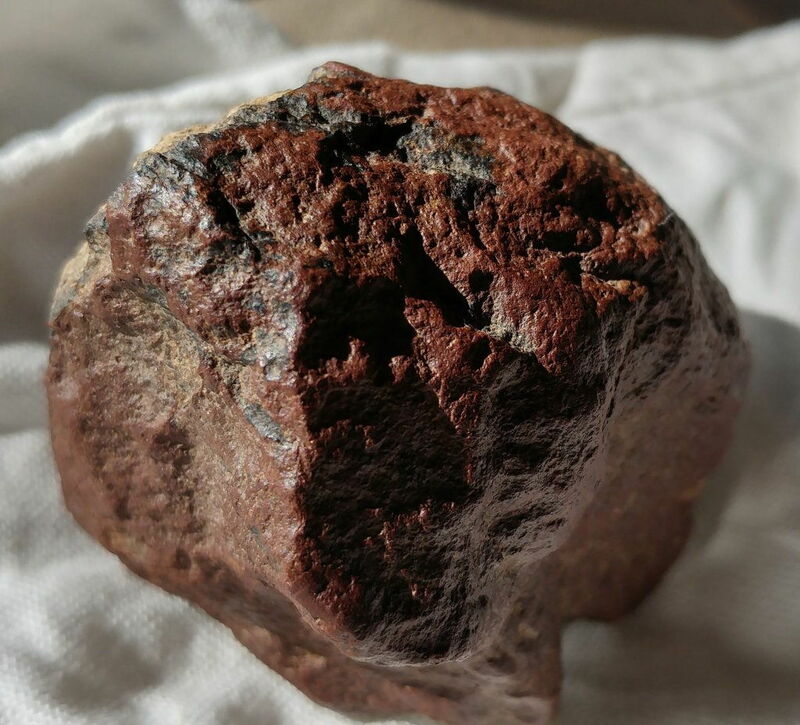 Back in my initial research I found a picture of a small stone meteorite found in Australia with a very similar colouration. And it also has no sharp edges which is another indicator. Also, unless the laws have changed since I last checked a couple of years ago, I should be fine to keep it as found it in Queensland on my own land. I believe in WA and SA they are property of the Crown. The laws differ for each state. So with that in mind, the next step is to get it officially identified, and any recommendations you have on the best place do that would be greatly appreciated too. 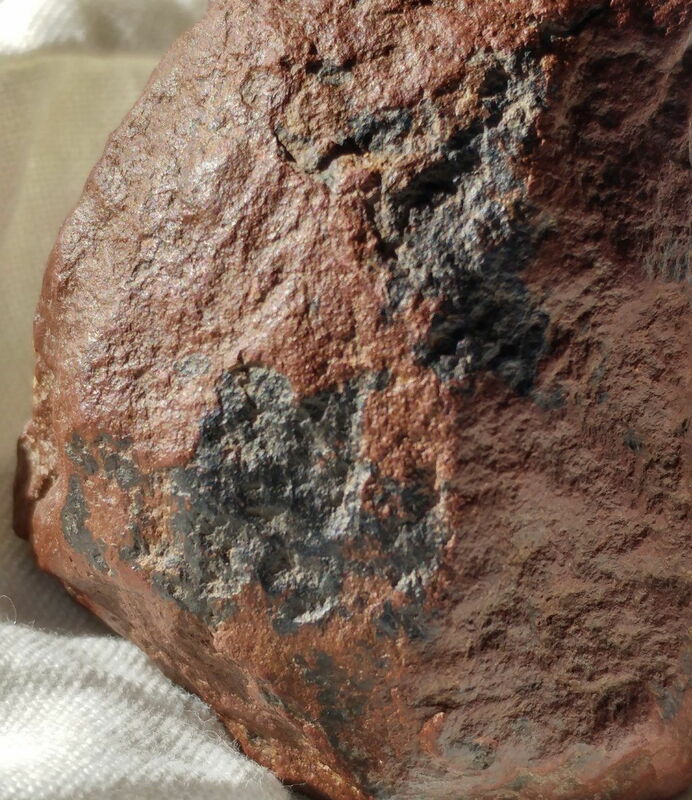 You cant remove meteorites in Qld either it's on your prospecting licence. 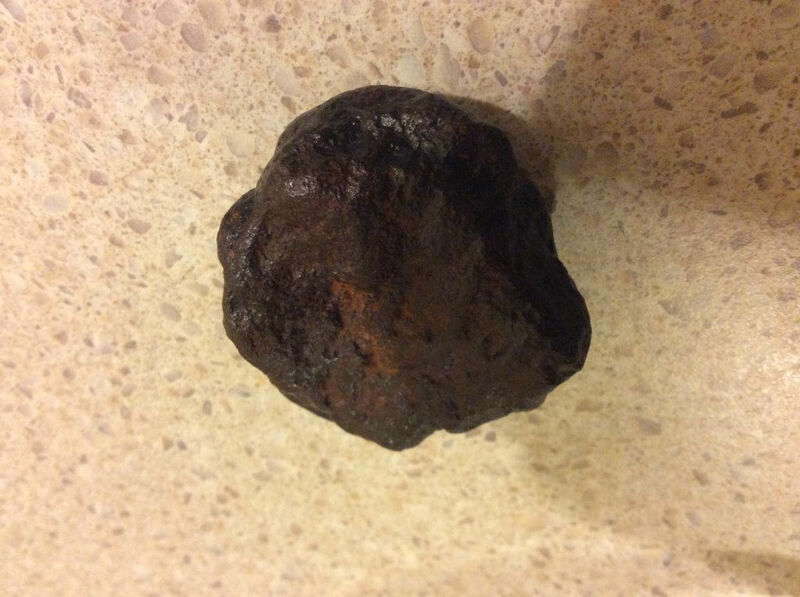 But Seriously who's going to leave a potential meteorite sitting there lol. Not me..Good Find hope it's real. Thanks Smoky, I appreciate your support and comments. I hope it's real too. Also after some research online I don't the think rule you mentioned above applies in my case as I was not fossicking at the time of finding the rock. 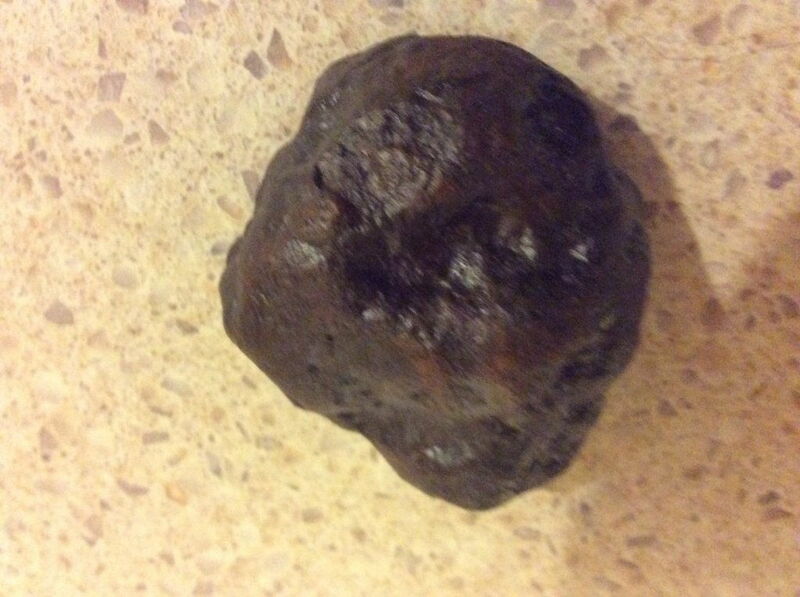 I was actually walking my dog and thought the rock looked unusual. I believe the laws your mentioned above relate to what you can and can't do when you undertaking the act of fossicking. The screen shot below of the QLD Fossicking Act 1994 (current as of 1 July 2016) explains this. 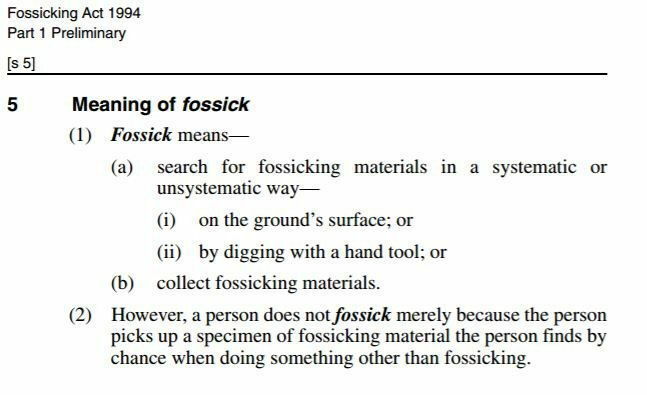 Section 2 highlights that a person does not fossick if they merely pick a specimen by chance when doing something other than fossicking. I thought this might provide some clarification. 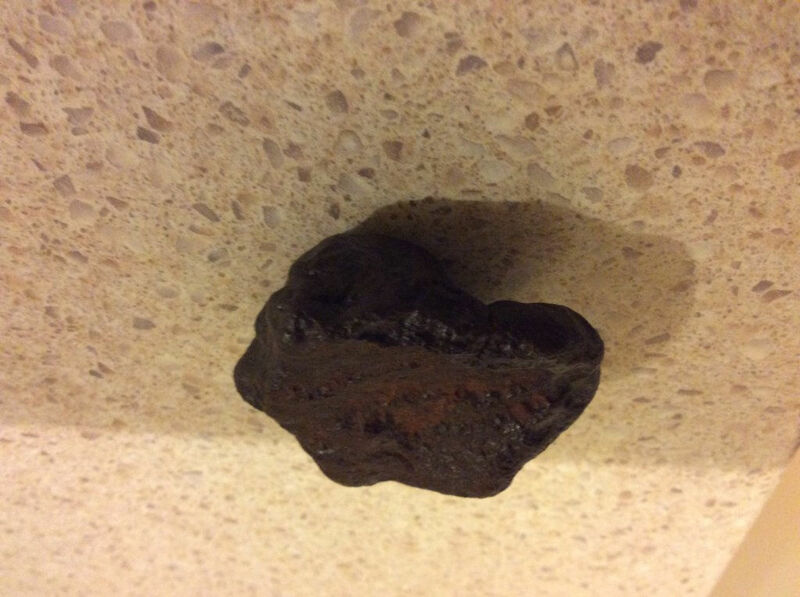 Found this in the West last year..It was on top of a hilly range, and there wasn’t a piece of ironstone within 3 km of it..It is heavier than you think it would be..It’s got thumb prints, and the back is dished out..I recon it is a meteorite..?The top and third photo are of the bottom which is dished shape.. Swinging a 4500 , 2300 .Digging a Keen 140 Dry blower, Smashing dolly pot, Laying back in a Chair.. It definitely looks very interesting. 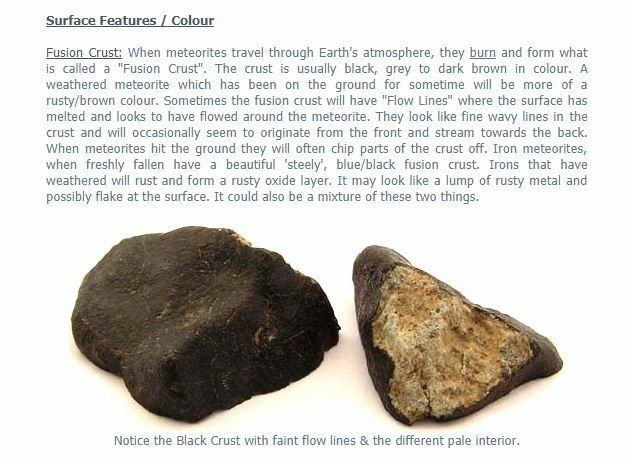 The colour and surface texture seem to indicate a fusion crust. Have you tried the magnet test? 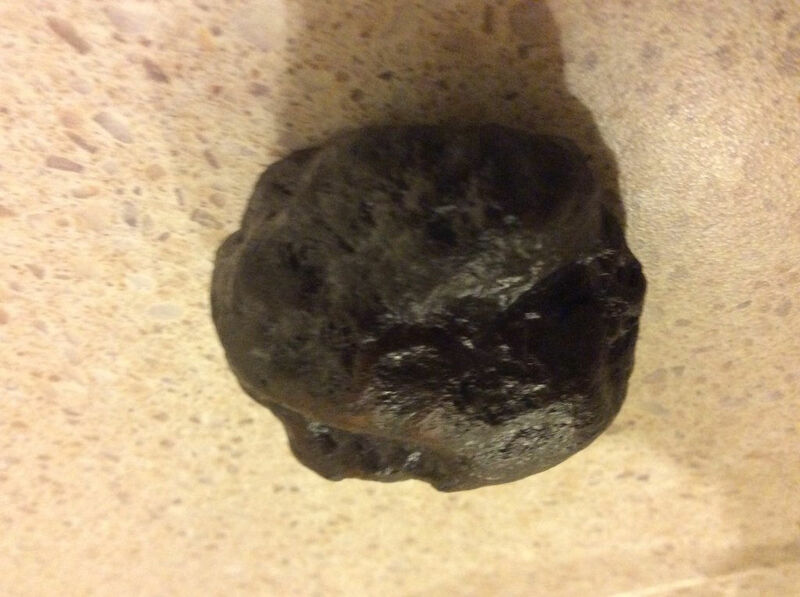 Monitor, no it’s non magnetic..What made this really stand out was It’s was on top of a hill and no Ironstone within 3 km of it..and it is quite heavy..Smooth glazed and thumb prints..? 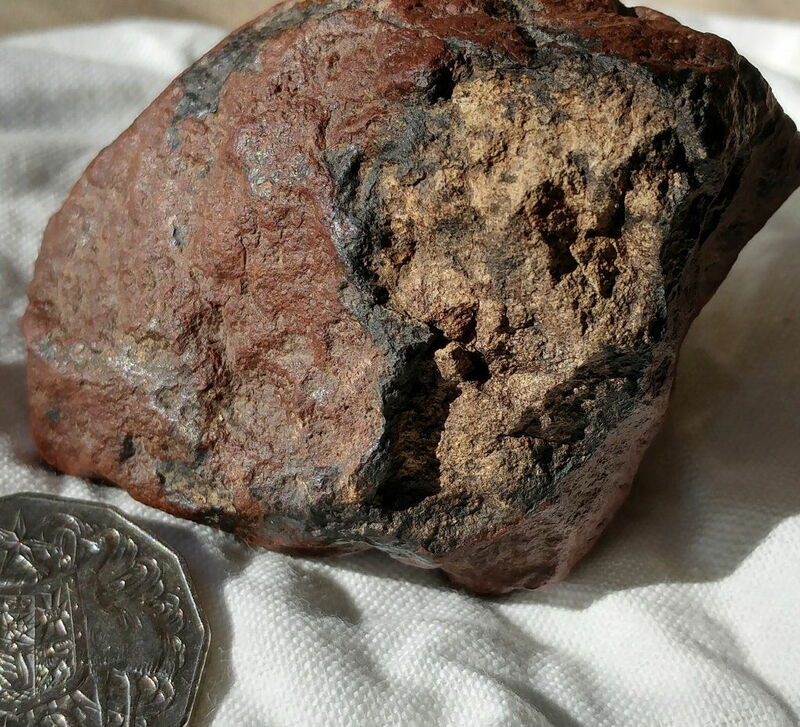 I believe all meteorites in Australia are classed as the property of the state in which they're found. You're supposed to hand them in but tbh you may as well just leave them where you find them as it's less troublesome. Appears to have a fusion crust with some flow lines. 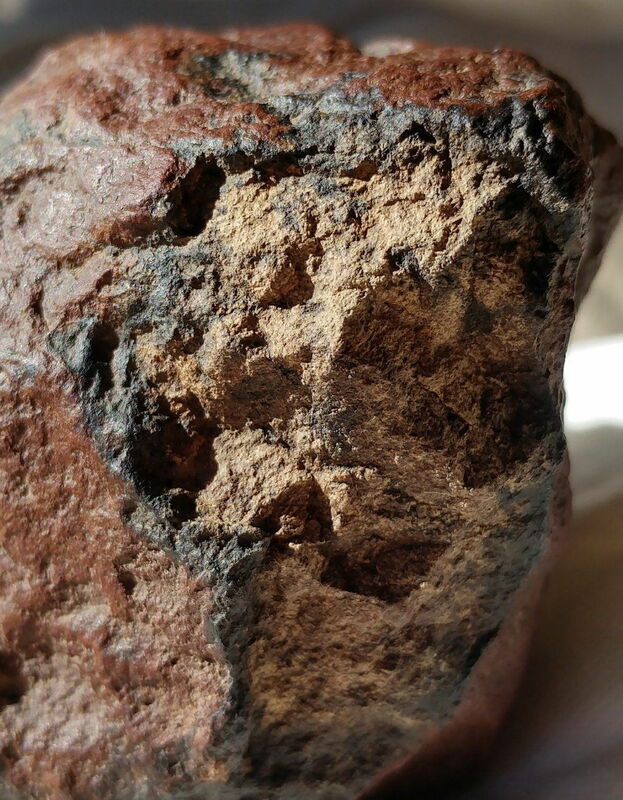 May be a chondrite of some kind that landed a long time ago. You need an expert to take a look at it. We are living on a space rock that will become a meteorite when it spears into the sun or Jupiter or something. Our galaxy formed not all that long after the beginning of the universe and the earth formed as part of the galaxy. So the whole deal probably started when Big G lit up a cig and we are just a part of his match flash.